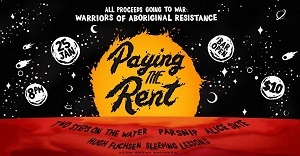 Get down to Bar Open on Sunday January 25 for a special fundraiser gig with all proceeds going to Warriors of the Aboriginal Resistance (WAR). Featuring some of the best live acts Melbourne has to offer including Two Steps on the Water, Parsnip, Alice Skye, Hugh Fuchsen, and Sleeping Lessons, as well a special guest speaker. Tickets are $10 on the door with free entry to people with indigenous heritage (subject to capacity). For more information head to the event page here. This event takes place on the land of the Wurundjeri People of the Kulin Nation. We give our respect to elders past and present.